I received the Bumbo Floor Seat for the purpose of this review- all opinions are my own. I don't know if it's all babies, but I know my babies have always really enjoyed watching their surroundings. 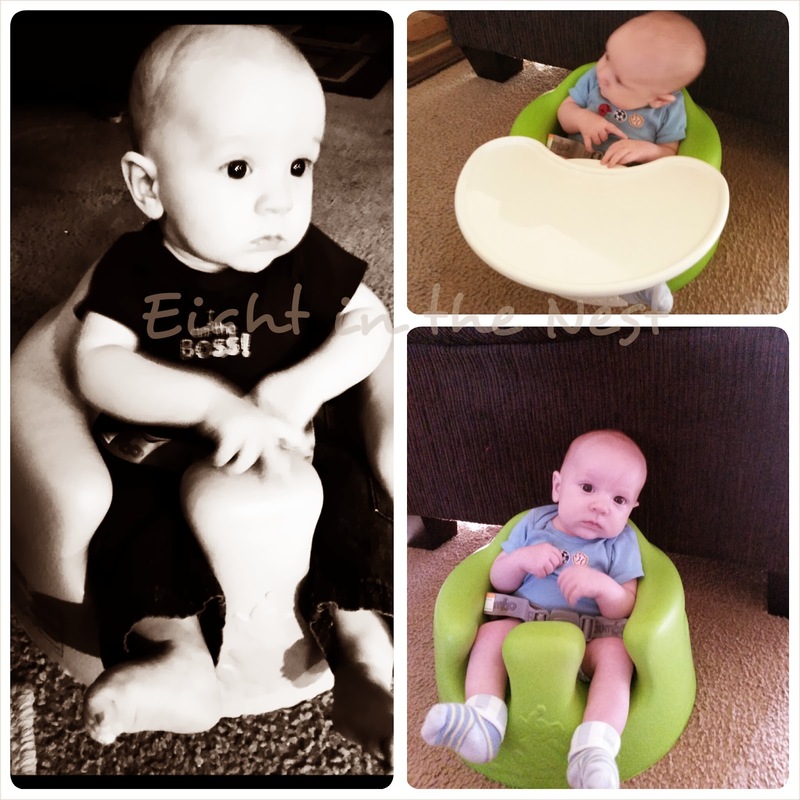 The Bumbo Floor Seat really helps babies be able to enjoy this great activity. The holidays are a great time for babies to sit and observe, as there is always something happening, so there is so much to take in. The Bumbo Floor Seat is great for babies age 3-8 months, but Orrin started sitting in one around 2 months old because he could hold his head up well. A great accessory to consider is the Play Tray. This is removable tray is perfect to keep toys in reach, or for snack time. It's easily washable, too. The Bumbo Floor Seat is made of comfortable low-density foam, it's squishy, but not too squishy and it is SUPER easy to clean (I have been very impressed with how well it's been able to be cleaned up)! I love all the colors that are available, and I am glad that the Bumbo Floor Seat now has a harness to help keep squirmy babies safe. Bumbo also has a great charity aspect. When you purchase a Bumbo baby product a portion of the proceeds go to help a community in South Africa; read more about how Bumbo Cares. Lilac would be my choice. I'd choose lime. So versatile! I like the aqua one best. I would pick lilac for a friend who just had a baby girl. I love the Bumbo Seat in Rose pink.